The block is divided into two and both halves feature L-shaped classrooms, cloakrooms and a shared wet area opening onto a large, north-facing sheltered outdoor learning space, with the senior school also having a paved courtyard area. 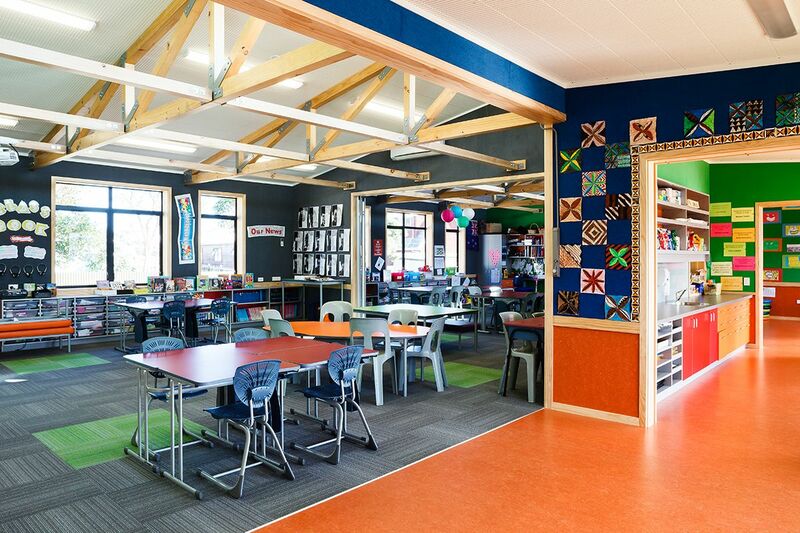 All classrooms have internal connections through the shared wet area and an adjoining breakout space to provide flexible learning spaces and collaboration between teachers and students. Modern learning environments are a challenge acoustically as multiple classes inhabit the same room, and short reverberation times are essential for speech intelligibility. Don Jamieson Architecture managed the acoustics and used products to reduce reverberation times. This was achieved by specifying T&R Interior System's Daiken Dai Lotone Direct Fixed tiles on the ceiling, Composition Board on the walls and carpet tiles on the floor. Daiken Dai Lotone is a staple and glue mineral fibre tile with a white painted finish often used in education spaces to reduce reverberation times. 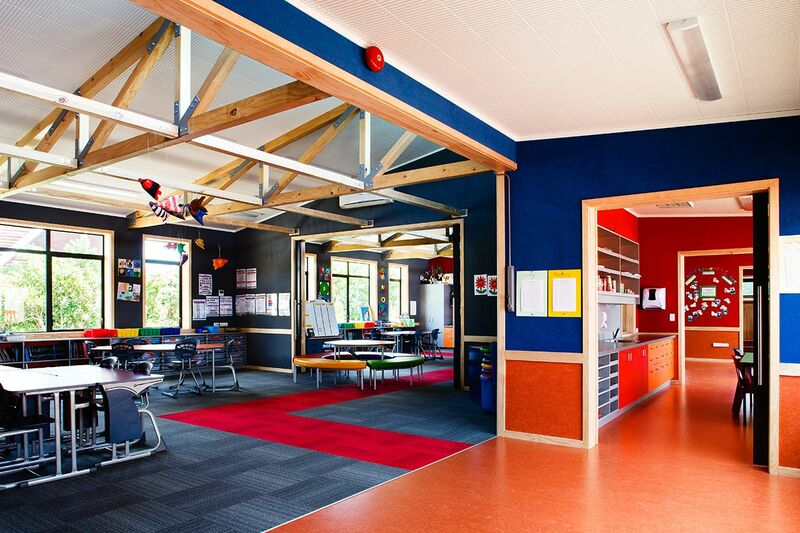 AS/NZS 2107:2000 Standard recommends a reverberation time of 0.4 — 0.5 seconds for primary school classrooms, and the onsite reverberation testing confirmed that the reverberation time in the classrooms (furnished and unoccupied) was between 0.45 and 0.47 seconds. "We are absolutely delighted with the space now. 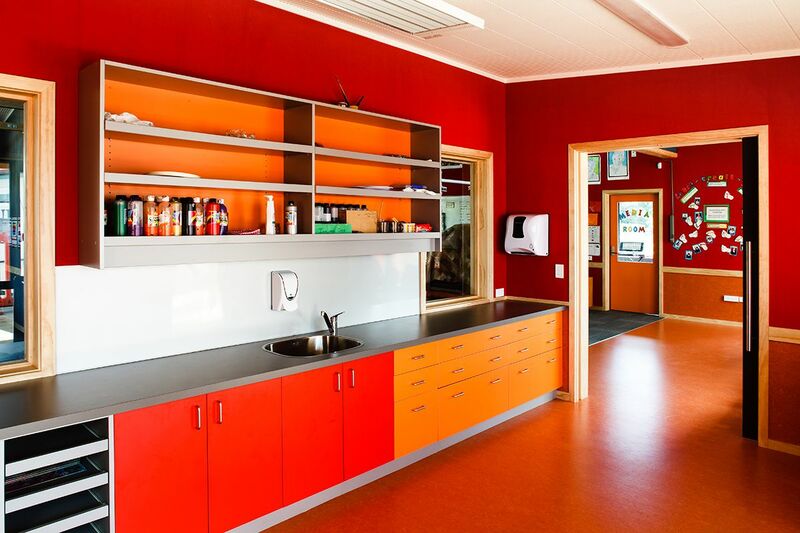 It is bright, open and airy and offers really exciting new spaces for students to learn in."